When we left snowy Michigan we did not take our normal route south. Instead we headed towards St Louis and then SW from there. Our reason for doing this was to stop in Bentonville AR to visit a new world class art museum. 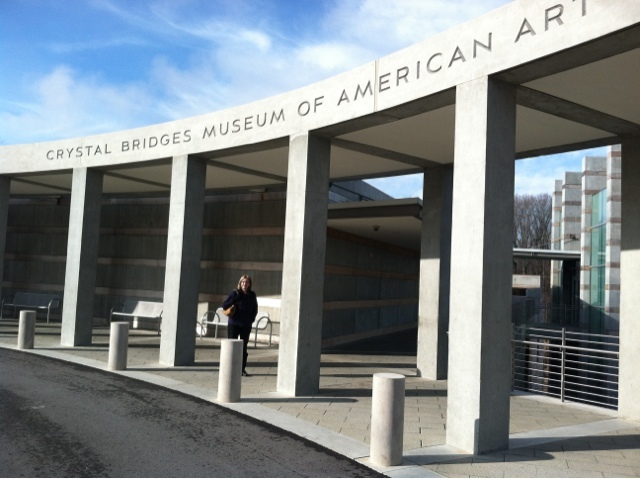 Founded by one of the heirs to the Walton (Walmart) fortunes, Crystal Bridges is indeed worth a detour. I won't bore you with the details, but a quick Google search will get you all the info you need. If you are interested in American art it's worth a visit. And best of all it's free.